(CBS/AP) LITTLE ROCK, Ark. - The trio known as the "West Memphis Three," convicted as teenagers in the 1993 killings of three 8-year-old Cub Scouts in eastern Arkansas, could be released from custody as early as today, according to multiple sources. A source familiar with the case, who spoke on condition of anonymity, told The Associated Press the potential deal would involve a legal maneuver allowing Damien Echols, Jessie Misskelley and Jason Baldwin to maintain their innocence while acknowledging prosecutors have enough evidence to win a conviction. 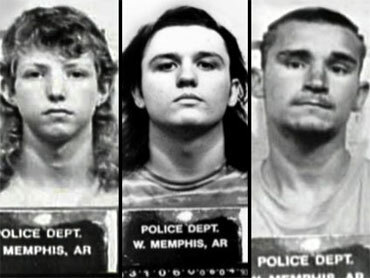 The men were convicted in 1994 of killing Steve Branch, Christopher Byers and Michael Moore a year earlier and leaving their naked bodies in a ditch in West Memphis, Ark. Echols was sentenced to death. Misskelley and Baldwin were ordered to spend the rest of their lives in prison. Defense attorneys, along with celebrities and legal experts, have long said the men were wrongly convicted. The three men, known to supporters as the West Memphis Three, won new hearings from the Arkansas Supreme Court in November, more than 15 years after they went to prison despite little physical evidence linking them to the crime scene. Their attorneys point to new DNA evidence that they say should help exonerate the three men. The support for the West Memphis Three reaches some of the victims' relatives who have questioned whether the right people were behind bars. Byers' adoptive father, John Mark Byers, said he believes Echols, Baldwin and Misskelley are innocent. He said prosecutors told him that they planned to reach a no-contest plea on Thursday. "There's certainly no justice for the three men that's been in prison or my son and his two friends," Byers said. "To me, this is just a cop-out from the state for not wanting to admit that they made a mistake."